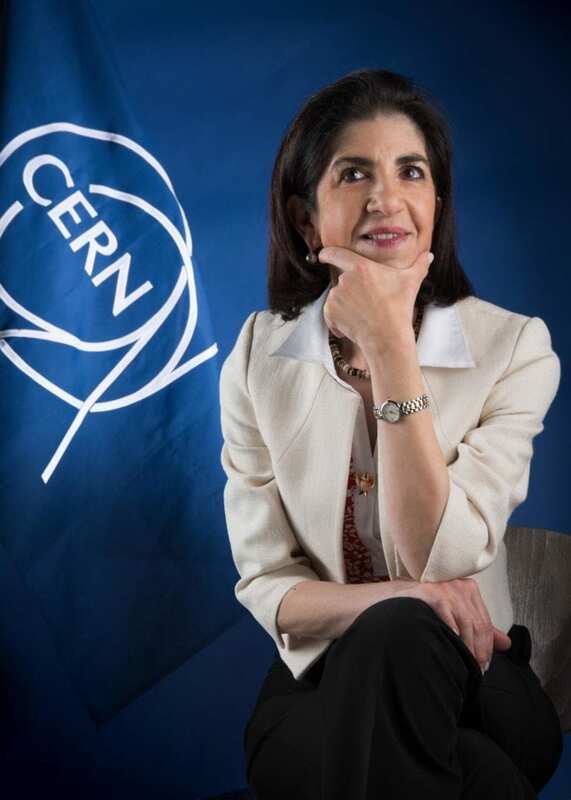 WASHINGTON, D.C., January 11, 2019 — The American Institute of Physics (AIP) announced today that it has awarded the 2018 John Torrence Tate Award for International Leadership in Physics to Italian physicist Fabiola Gianotti. Named after the celebrated American physicist John Torrence Tate, the Tate medal was established in 1959 and is awarded every two years to non-U.S. citizens for their leadership, research contributions, and service to the international physics community. The award consists of a certificate of recognition, a bronze medal and a $10,000 prize. Previous winners include Edoardo Amaldi, Yu Lu, Jean Trân Thanh Vân and last year, Neil Turok. Gianotti was born in Rome, Italy, and earned her doctorate in experimental particle physics from the University of Milan. She has worked as a research physicist at CERN, the European Organization for Nuclear Research, since 1994, and in 2016 became CERN’s first female Director-General. Gianotti has worked on a number of CERN experiments, including the UA2, ALEPH, and ATLAS experiments, and from 2009 to 2013, she served as the project leader, or “Spokesperson,” of ATLAS. ATLAS, a particle detector experiment at the Large Hadron Collider (LHC) accelerator, is illustrative of Gianotti’s international leadership: Roughly 3,000 physicists from some 40 countries participate in the project. On July 4, 2012, on behalf of their collaborations, Gianotti and the Spokesperson of CMS, Joe Incandela, announced the discovery of the Higgs boson, which was observed simultaneously by the ATLAS and CMS experiments at the LHC. The Higgs boson was, until then, a purely hypothetical part of the standard model, the theory that describes elementary particles and their interactions. When she was 17, she read a biography of Marie Curie. “I was fascinated by her personality, her courage and determination. She had a lab in her house, and science was an integral part of her day by day life,” said Gianotti. In past interviews, Gianotti has noted the need for dissolving the artificial walls between the arts and sciences, and advocated to improve diversity in the sciences. CERN has a variety of outreach and professional development programs aimed at improving diversity in physics, including initiatives to support women in science. Gianotti is a foreign associate member of the U.S. National Academy of Sciences, the Italian Academy of Sciences, the French Academy of Sciences and others. She has also served on several international committees, including the Scientific Advisory Board of the U.N. Secretary-General, Ban Ki-moon. Over the course of her career, Gianotti has received numerous honorary doctorates, and has co-authored over 550 publications in international journals. In addition to her celebrated contributions to research and work as a global leader in physics, Gianotti has been included among the “Top 100 inspirational women” by The Guardian and Forbes, and ranked 5th personality of the year 2012 by Time Magazine. Named for John Torrence Tate in honor of his service to the physics community, the Tate Medal recognizes non-US citizens for international leadership in physics, with an emphasis on leadership, statesmanship, and service to the physics community, as opposed to research achievement. Awarded every two years, it consists of a certificate, a bronze medal and a $10,000 cash award. For more information, see https://www.aip.org/aip/awards/tate-medal. The American Institute of Physics is an organization of scientific societies in the physical sciences, representing scientists, engineers, and educators. AIP offers information, services, and expertise in physics education and student programs, science communication, government relations, career services for science and engineering professionals, statistical research in physics employment and education, industrial outreach, and the history of physics and allied fields. AIP publishes the flagship magazine, Physics Today, and is home to the Society of Physics Students and the Niels Bohr Library and Archives. AIP owns AIP Publishing LLC, a scholarly publisher in the physical and related sciences. See http://www.aip.org.